INFORMATION reaching our newsroom is that the body of a man has been found in some bushes in Las Lomas No. 2. Police said the body was discovered by passersby and a report was made. Police and the district medical officer are at this time at the scene and confirmed that it is that of Sheldon Sukhdeo, wearing a black three-quarter pants and a black t-shirt. The partially decomposed body was found in the bushy area at about 1.10 pm. They believe the body was dumped about two days ago. Sukhdeo, 32, who was kidnapped late last year by armed men clad in what appeared to be police garb. On the morning of December 16, Sukhdeo was driving his sedan in the company of three Venezuelan nationals when a black SUV with flashing blue lights forced him to park on the shoulder of the highway. Armed men then bundled Sukhdeo into the SUV which sped off. A ransom demand was later made. 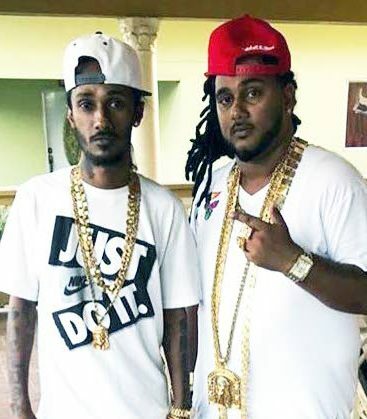 Sukhdeo is the brother of murdered central Trinidad auto parts dealer Sheron Sukhdeo. Reply to "Sukhdeo’s body found in Las Lomas bushes"